Versachem Flowable Silicone is a solventless silicone specially formulated to flow into cracks and seams to form a clear, tough, flexible and airtight seal. Resistant to weather, vibration, shock, and most shop chemicals, this waterproof formula works best on glass, metal, wood, plastic, concrete, and rubber. 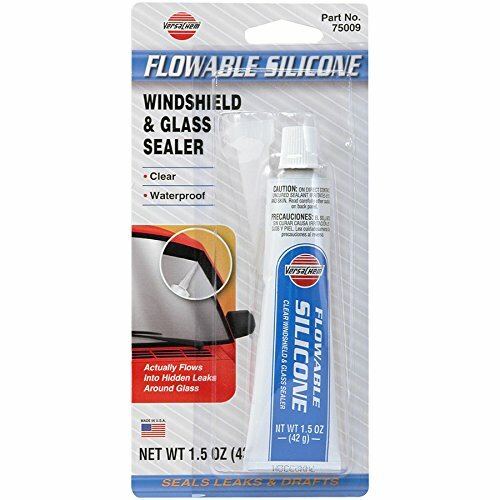 Use it to seal and repair windshields, sunroofs, windows, headlamp assemblies and more. Temperature range of -80F to 450F. If you have any questions about this product by Versachem, contact us by completing and submitting the form below. If you are looking for a specif part number, please include it with your message.